As far as we know, the production of the LaFerrari has been delaied to 2014. Ferrari's most powerful road legal car ever is not yet ready to hit the production and if you plan to visit Maranello you really have good chances to see it during one of its continuous hard testing sessions around Fiorano racetrack. 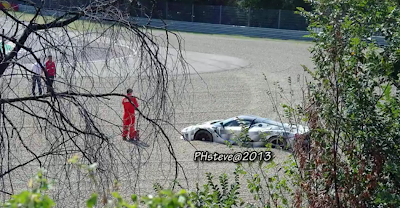 Unfortunately for Ferrari, an enthusiast caught on his camera the unexpected moment of a LaFerrari going off track and being stuck in the gravel. The reason of the small accident seems to be caused from a malfunction of the brakes as we can see the LaFerrari trying to brake in a cloud of smoke. And if you want to hear more from the mighty 6.3L V12, here's another footage of a LaFerrari testing at Fiorano.. but this time just on the tarmac. Unfortunately, people would rather have an S-Class for "normal" use. 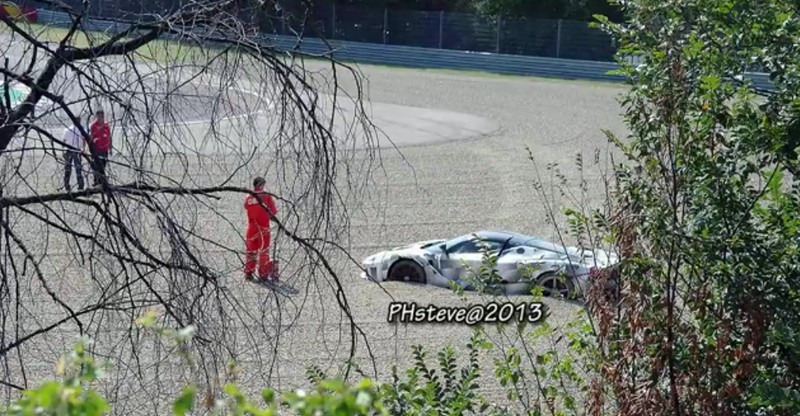 This car was purely made to go as fast as possible and by the looks of things (so far), it's failing to deliver. The car is really cool .I think it will attract lots of people who have a deep interest in the cars.Of course,I am also one of them.Here,I wanna say that there is another thing that I am especially interested in ,that's the remote control toys,especially the rc helicopter.Imagine that you stand in the playground,handling the flight of the helicopter,no matter you want them to fly in any direction,it is really cool.I've enjoyed it thoughly.It will make all of sorrpw and unhappiness fly away with the flight.I really love it , Do you agreewith me?